On May 24th, 2017, the subscription period of Realfiction Holding AB's ("Realfiction") new share issue was completed prior to planed listing on Nasdaq Stockholm First North ("First North"). The new share issue was subscribed to approximately SEK 21,5 million, including subscription commitments, corresponding to a subscription ratio of 100 percent. Out of the total issue volume, approximately SEK 2,6 million, corresponding to approximately 12,3 percent, was subscribed by tech strategic partner AmTRAN Technology, within their agreement as a no commission guarantor. The subscription by AmTRAN is covered by a lock up agreement. Through the new share issue, Realfiction is supplied with approximately SEK 19,2 million after issue costs. Through the new share issue, Realfiction is supplied with approximately 350 new shareholders. Contract notes are scheduled to be sent out today, May 30th 2017. The first day of trading is expected to be June 20, 2017. “We are very pleased with the interest in the new share issue and wish to express our sincere thanks to all subscribers. 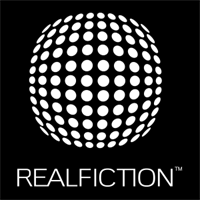 After several years of building market position, product platform and patent portfolio, Realfiction is well positioned for continued leadership in a fast-growing market. Through the capital we are provided, we intend to accelerate our operations and thereby strengthen our role as commercial market leader. In view of the momentum of the mixed reality market, I believe in a significantly increased sales of our products”, says Clas Dyrholm, CEO, Realfiction. 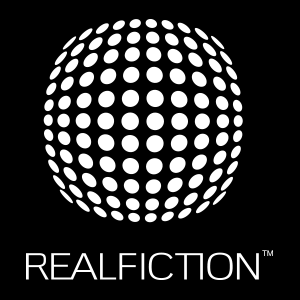 "We are pleased to become a major shareholder in Realfiction. We have very high hopes for Realfiction's development and consider the company a long-term and strategically important partner”, says Alpha Wu, chairman and CEO of AmTRAN Technology. The new share issue was subscribed to approximately SEK 21,5 million, including subscription commitments, corresponding to a subscription ratio of 100 percent. Out of the total issue volume, approximately SEK 2,6 million, corresponding to approximately 12,3 percent, was subscribed by tech strategic partner AmTRAN Technology, within their agreement as a no commission guarantor. The subscription by AmTRAN is covered by a lock up agreement. Through the new share issue, 2 830 000 shares are issued. Realfiction is therefore supplied with approximately SEK 21,5 million before issue costs of approximately SEK 2.3 million. Contract notes are expected to be sent out today, May 30th, 2017. The first day of trading on First North is expected to be June 20, 2017. After the new share issue registration, the total number of shares in Realfiction will increase to 11 633 135 shares. The share capital after the registration will be SEK 1 163 313,50. Sedermera Fondkommission is the financial advisor to Realfiction in connection with the new share issue and planed listing on Nasdaq Stockholm First North. Sedermera Fondkommission is also appointed as the company´s Certified Advisor. This information is information that Realfiction Holding AB is obliged to make public pursuant to the EU Market Abuse Regulation. The information was submitted for publication, through the agency of the contact person set out above, on May 30th, 2017. We are very pleased with the interest in the new share issue and wish to express our sincere thanks to all subscribers. After several years of building market position, product platform and patent portfolio, Realfiction is well positioned for continued leadership in a fast-growing market. Through the capital we are provided, we intend to accelerate our operations and thereby strengthen our role as commercial market leader. In view of the momentum of the mixed reality market, I believe in a significantly increased sales of our products.